Grandma’s School is now in session! 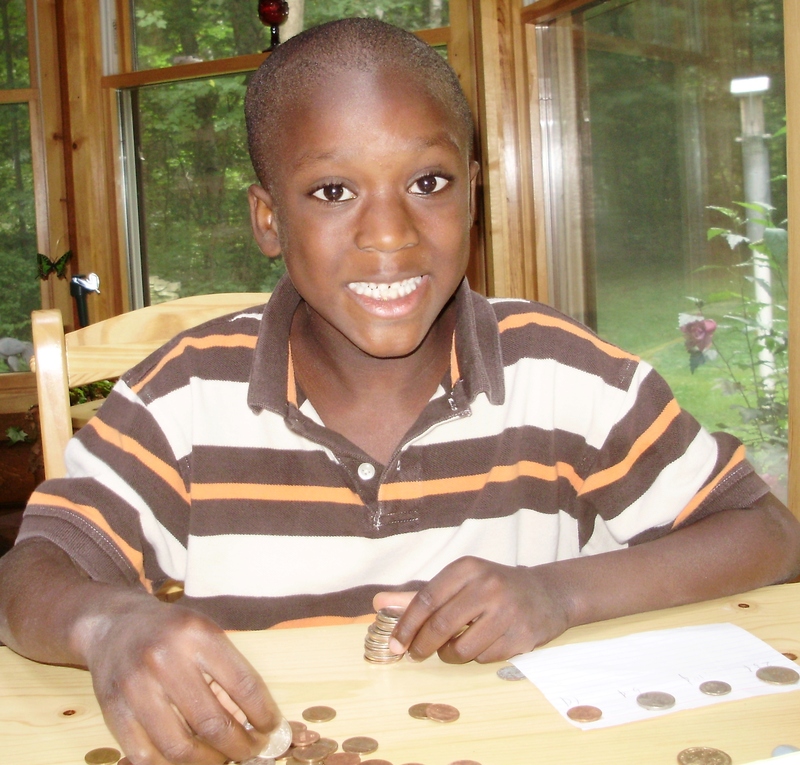 Last summer Armon, my grandson, came to Grandma’s School every day and we worked on letters, reading, numbers, money, etc. What we wanted to accomplish we did. We were so pleased. This summer has gone by. A very busy summer. Now with just a few weeks until school starts we’ve decided to open Grandma’s School again for just a couple weeks to get ready for school and to give Armon a little head start. 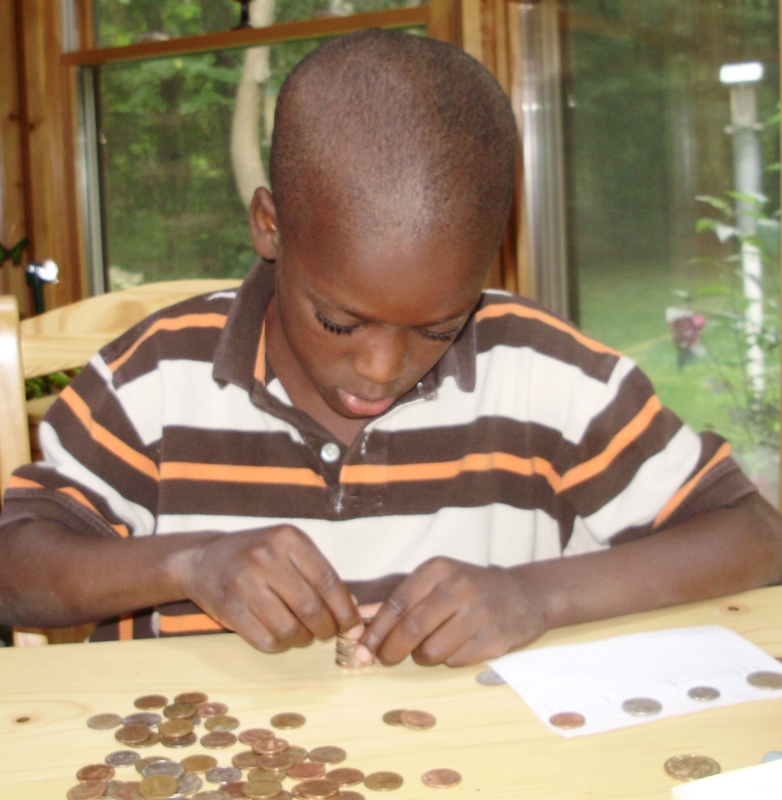 Here, Armon is identifying coins and stacking them to make a dollar. This is a subject he loves!!! This entry was posted in Family, Grandchildren, Grandma's School and tagged Children, Family, Fun, Grandchildren, Grandma's School. Bookmark the permalink. What a good idea, I’m so glad you are there to do that for him. He sure has grown and looks like a happy fellow. Thanks for your comment, Sue. He really has grown. He’s a good kid! Thanks for your comment, Sydney! I love helping him.